This is my personal Must-Read list of books that I believe every artist should have in their collection. Or at the very least, have read once. Recommended books for techniques, inspiration, creativity, overcoming blocks, blank canvas fear, and procrastination. I have been promising you this list of my favourite art books that have changed my art life in a hugely positive way. I am a painter (and occasionally a writer) and have never had formal tertiary art training, apart from attending the occasional art workshops and classes here and there. I have been inspired and learnt loads from reading books that other artists that I admire have recommended to me, or books that I have come across and really connected with. It’s a great way to learn. I love learning and think the best rule to live by is to never stop learning. 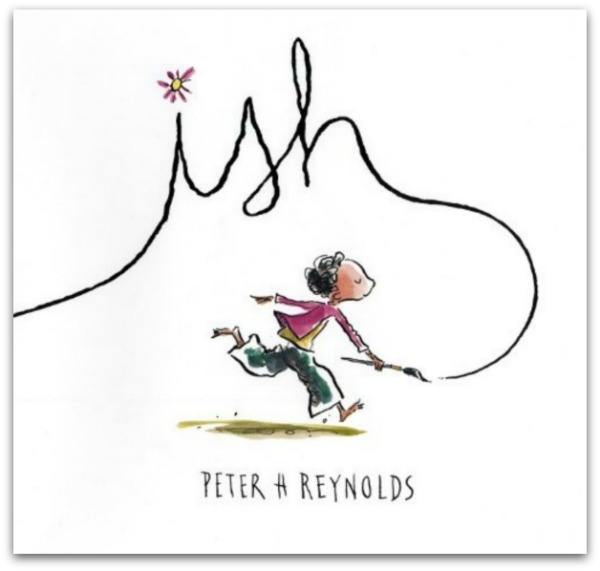 My favourite book that I picked up again today is a book called “Ish” by Peter H Reynolds. It is a children’s picture book, takes you about one minute to read it, but for an artist who is sometimes blocked by self-judgment and self-induced pressure, it always inspires me to just run to the easel and slap paint on the canvas. It is so special I keep it visible on my art desk so I see it every day. Check it out if you can get hold of a copy! 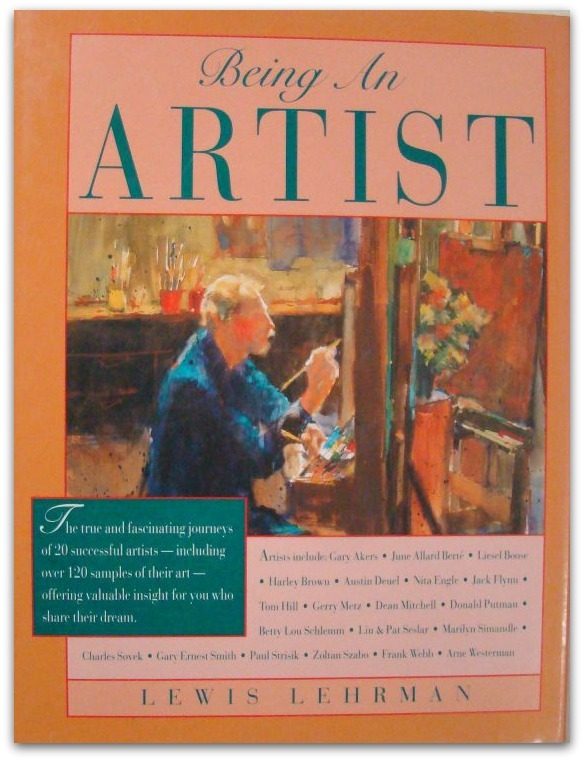 It is a truly delightful book for an artist of any age or skill level. You will realise what I mean when you have read the story. This is an inspirational book to get you going with your creativity, and free you up from any hidden negative messages you have about your creations. There are plenty of exercises to heal incorrect childhood belief systems (you will be amazed at how those things are interfering whenever you make art!). I recommend you sign a contract with yourself to commit to the full course and study it every week. Buy a packet of gold stars or other fun little stickers and reward yourself as you check the things off the list through the course. I personally use Morning Pages to this day, to help clear out all the Stuff churning around in my mind. I find this tool also helps to process any issues that are going on in daily life, forgive people that I am angry at, get the messages from my Inner Child, get creative gems, and generally get back to a calm level to start the day. Also good to use just before a creativity session. For Morning Pages if you would prefer to not hand write them, or have them stored in a very secure place where others will have no chance of being able to read them, I recommend the website www.750words.com. This was designed for Morning Page people, and it has gamified the experience so you earn badges for streaks of consecutive days of writing. It make it really motivating and a lot of fun. I have painted a lovely “Great Creator…” 3-line sign that hangs above my art desk, and rewritten out the Artists’ Prayer (slightly modified to suit me) to say to myself at the beginning of each creativity session. As a result of reading this book, I set a moment in time for when I turned Pro. I now plan my art week in advance, I schedule art session times like a professional business person, have a little ritual at the beginning and end of each session, and amazingly the creativity just comes! So I am now winning the War on Resistance. 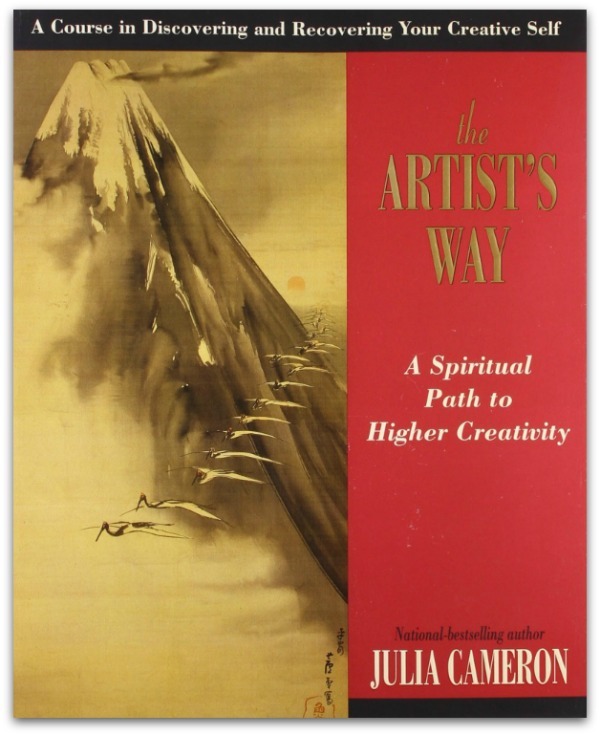 Every artist should read this book. 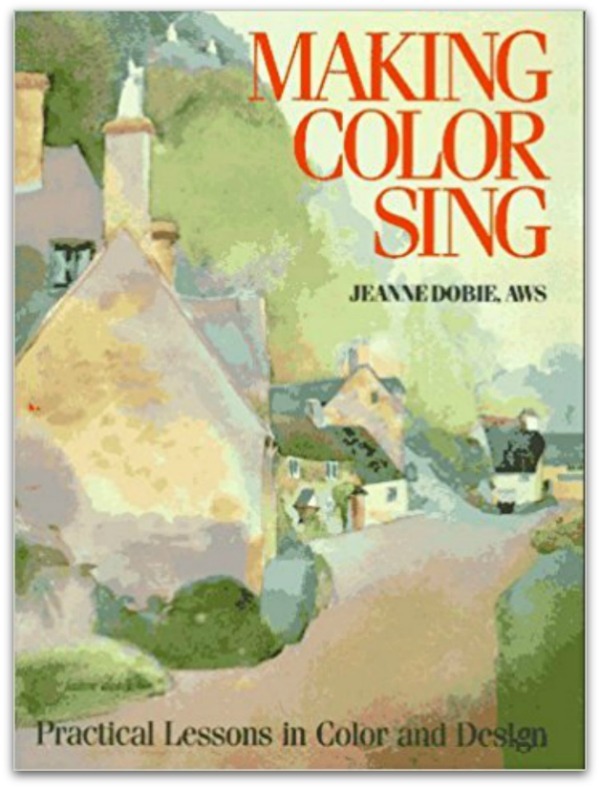 A wonderful book about mouse colours, using complementary greys, and minimum palette. Primarily aimed at watercolour medium, but easily adapted to acrylics and even oils. Color theory for an artist who thinks they know it all (like I thought I did, before I read this book!). Lots of lovely exercises. 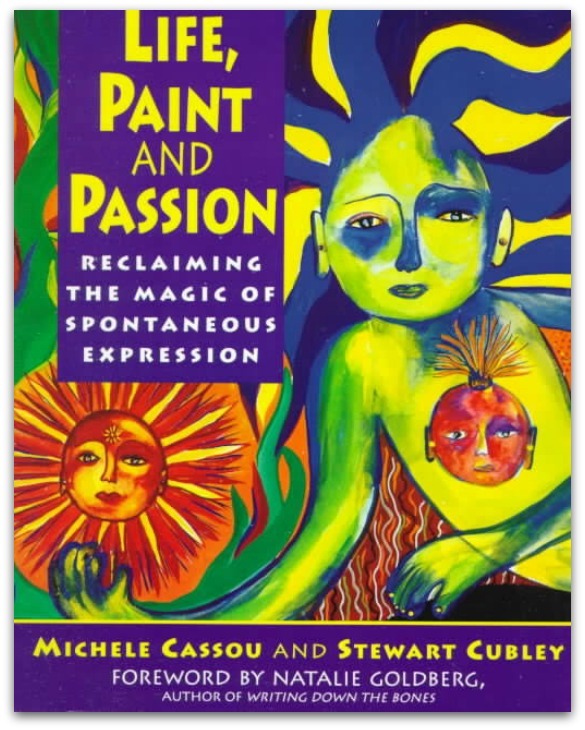 This book was recommended to me by a wonderful acrylics artist who was already successful. Her colours in her paintings just made me say “Yum”. If you really want to challenge yourself to totally let go as a painter, then try the method taught in this book! It may be the most challenging thing you have done as an artist, especially if you are usually fairly controlled. It teaches painting for the purpose of pure expression, with no thought of outcome or artistic merit. This can be a real challenge. This is an absolute treasure of a book. It got me totally inspired to start an artist’s journal, which I continue today. This book lives on my art desk. When I first opened it up I got completely inspired to sew up a full kit pack of artist-on-the-run portfolios, as described in the first section. I now have two sets of my most common artist equipment: one to grab and run whenever I go out, or go travelling, and one at my art desk in my studio. This has been wonderful to have. 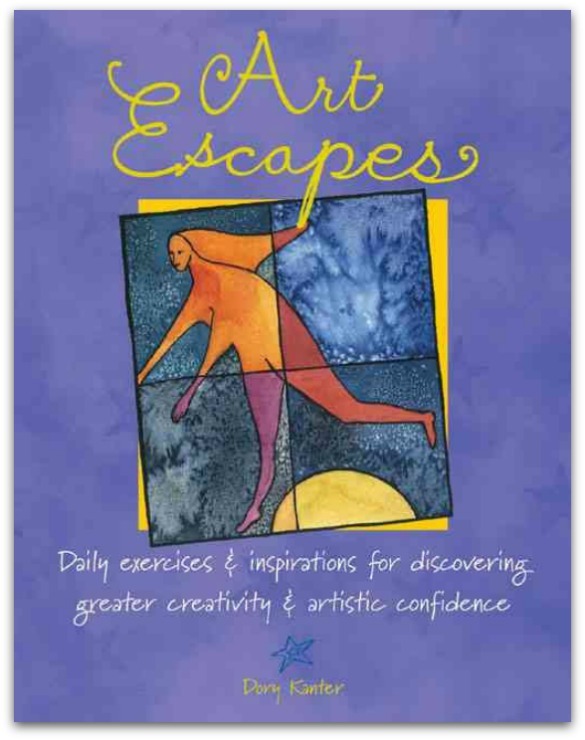 This book is chock full of ideas for no-pressure journal fun for an artist – lots of little play exercises. Turn over a new one for each day if you like. There are lots of them that I use over and over now whenever I am not brave enough to attack the canvas – doing these little exercises builds up my confidence and I can get to the easel again in no time. 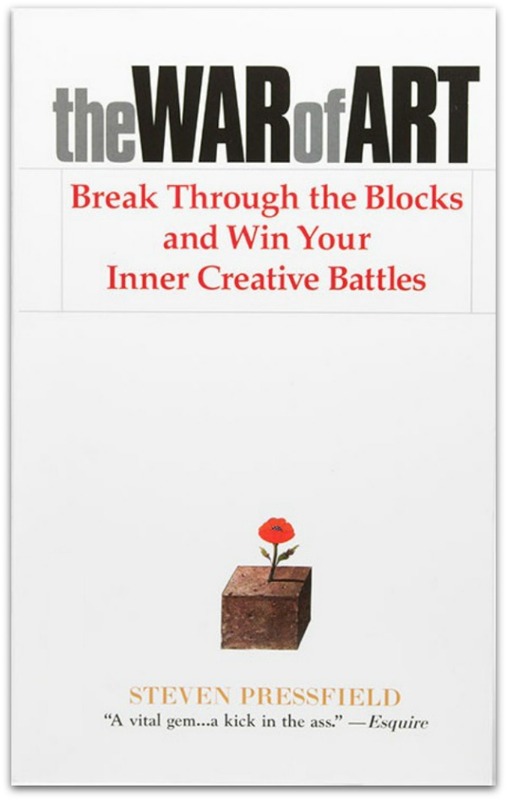 This is a great book if you are launching a serious art career. Lewis interviewed 20 successful artists. Hearing what they say is like getting advice directly from someone who’s walked the path before you and can advise you on great ideas on how to succeed. Even if you just pick up one or two tips from this book like I did, they may be career-changing ones. Have you read any of these books already? What did you think? 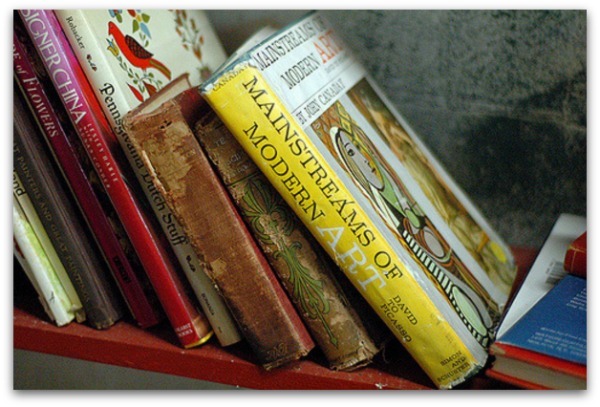 Tell us which art books have made a big difference to you and your painting!